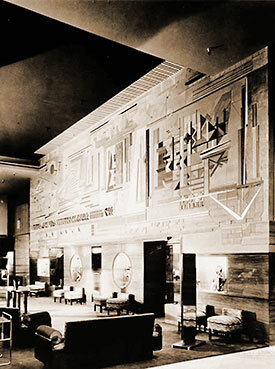 This elegant book chronicles the efforts of the impressive team of international architects, designers and businessmen who created Los Angeles' famed Art Deco masterpiece. Excavation for Bullocks Wilshire began in 1928. 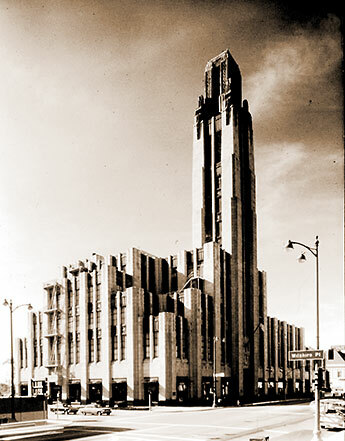 Located at 3050 Wilshire Boulevard near present day MacArthur Park, the enterprise was hailed as the first suburban department store and the first to cater to the automobile. 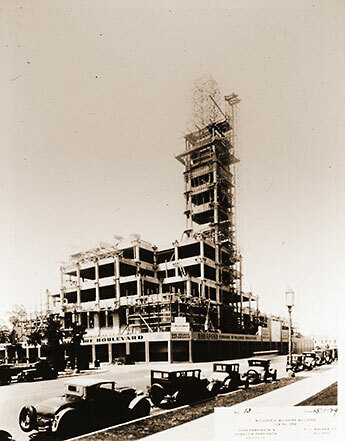 The steel girder skeleton of Bullocks Wilshire began to take shape in 1929. John and Donald Parkinson, father and son, served as the building's gifted architects. The father and son firm founded by John Parkinson in 1894 was already responsible for many of the city's great landmarks, including the Los Angeles Athletic Club, the Memorial Coliseum, City Hall and later Union Station. The design featured a landmark 241-foot tower. The advertising value of the stunning tower paid off handsomely and it became the signature stamp of the revered Los Angeles landmark. Bullocks Wilshire recounts the lives of the two immigrant entrepreneurs, John Gillespie Bullock and Percy Glen Winnett, who, with this magnificent department store, tested a new theory of retailing in the suburbs, and the architectural team, Parkinson and Parkinson, who executed that vision into one of Los Angeles' most beloved landmarks. 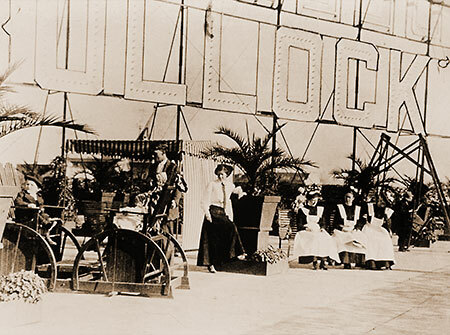 The rooftop garden of Bullock's downtown store soon after the 1907 gala opening. The single word “BULLOCKS” ablaze with lights could be seen for miles in the Los Angeles skyline. 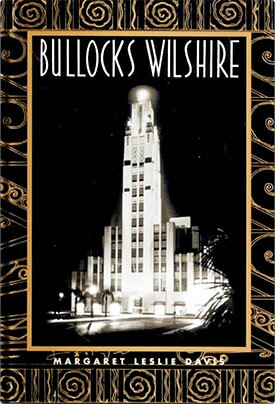 Written by a noted chronicler of Los Angeles history based on extensive interviews and research, Bullocks Wilshire promises readers an unprecedented opportunity to peek inside the doors of a unique architectural icon and discover its rich history from construction and golden age to its renovation and rebirth. 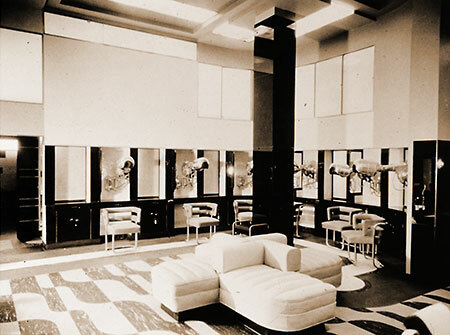 There were a total of 18 stations for stylists in the store's Salon of Beauty, where exotic looking hair dryers awaited fashionable patrons. 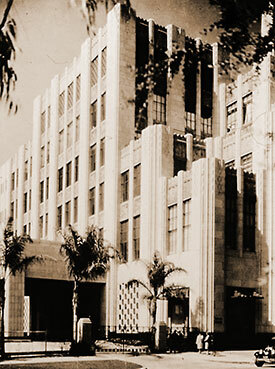 Adored by the citizens of Los Angeles, Bullock's Wilshire and its grand days – its customers and their devotion, the movie stars, the rich and famous customers who shopped there and shaped the store's evolving role in the community – secured its place in the city's cultural soul. The city celebrated the completion of the great emporium with near religious zeal. Possibly for the first time, contemporary art came into a home of its own in Los Angeles. In no previous attempt had there been so sympathetic an understanding and an outlay of so many millions of dollars to bring the spirit of modern art into a happy coordination with modern life as had been created at the Wilshire store. 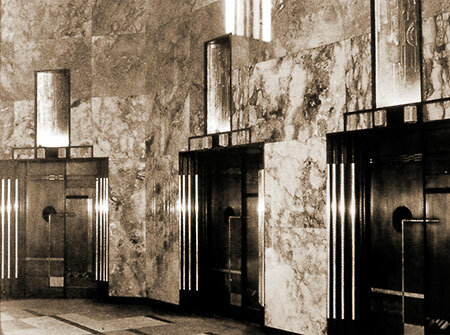 It was described at the time simply in three powerful words – a “Contemporary Cathedral of Commerce.” The Bauhaus style elevator doors inside the grand foyer featured bronze, copper and gunmetal. A store like no other, the architectural gem is considered a national treasure, part of the fabric of Los Angeles, indelibly etched into the city's cultural soul. This hard-cover volume combines 100 beautifully reproduced historical photographs with the dramatic text of award-winning author Margaret Leslie Davis. The Sportswear Department was designed to reflect a sense of casual freedom of the out-of-doors for upscale buyers. Its thematic mural called “The Spirit of Sports” was one of the most beautiful pieces of art in the store. Created by artist Gjura Stojano it was an expression of action, speed and movement and consisted of a flat fresco with plaster relief and thin strips of wood cover. 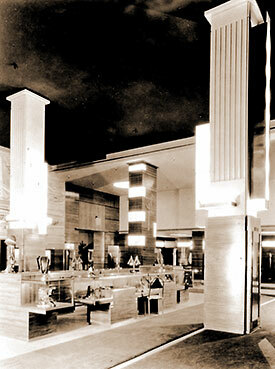 The seductive powers of Bullocks Wilshire caused customers to be spell bound by the dazzling interplay of color and light inside. From room to room — an ever changing never repeating succession of novel effects — a shimmering blend of fabrics, glass, metal and wood combined if on a painter’s palette. The Accessories Department, circa 1930. 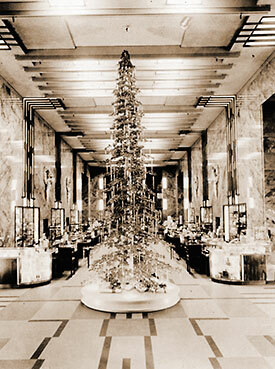 Bullocks Wilshire marked a unique integration of art, architecture and interior design, and has often been called the “perfect distillation of Art Deco.” Store clerks began preparations for the Christmas season as early as Halloween, and it took almost three weeks to trim the enormous and spectacular Winter Wonderland tree. Over the years, the legend of Bullock’s Wilshire grew. From the “route boys” who rushed customers’ purchases to the Porte cohere to the maitre d’ inside the popular fifth-floor Tea Room, Bullock’s was home to a host of eclectic characters. Their pride and service defined the beloved store’s golden age, when no present had more cachet than one gift-wrapped in a brown and white Bullock’s bag.